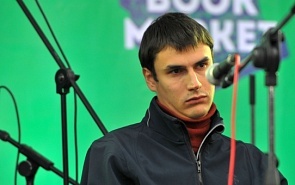 Commentator on Kommersant-FM and Finam-FM radio stations; winner of the Debut Independent Award and the Moscow State Prize in Literature and Art, Italian award Arcobaleno and twice finalist of the National Bestseller Award. Author of eight books. His novels are translated into Italian, English and French languages. Previous positions: Member, State Duma Commission investigating events of the fall of 1993; special correspondent, Investigations Department, Novaya Gazeta (2002–2003). Some people are trying to make the reality in Russia at least a bit more humane. The amnesty should apply not only to persons involved in high-profile cases, but also to individuals who are not as well-known. It is better to set free at least some of the individuals who deserve to be released than no one at all.